The next time I went to Hobby Lobby I took a better look at all of the sparkle yarns. My niece Maribel is sporty and loves bright colors, so I decided to make one for her, too. Her favorite color is teal so I grabbed some Peacock Sparkle and plain white, and made another one! Switch to Color B. Cut yarn from Color A, leaving about a 6″ tail. Switch to color A. Cut yarn from Color B, leaving about a 6″ tail. Repeat this process section by section, 22 DC per row, 7 rows per section, until you have 14 total sections (98 rows), or until the scarf is the length you want it. Cut the last tail of yarn, leaving about 12″ tail. 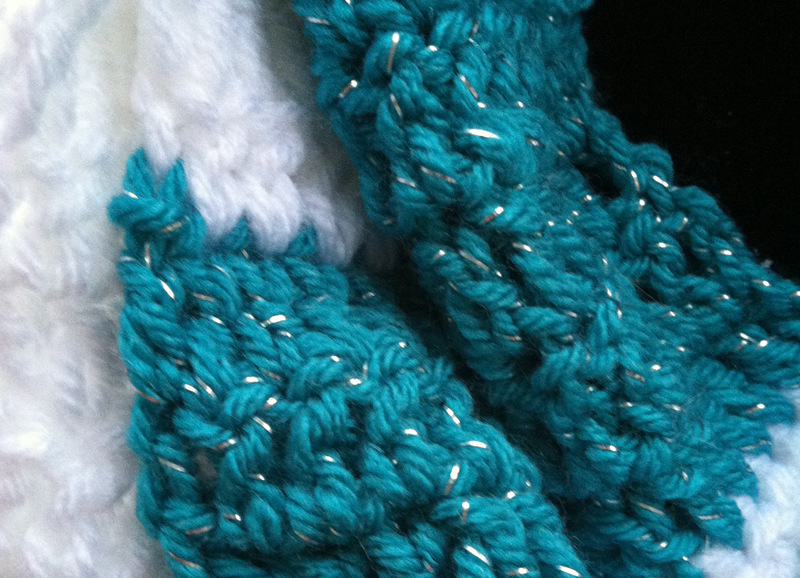 Use tail to Whip Stitch one end of the scarf to the other. Fasten off. Weave in all those ends, and you’re done. 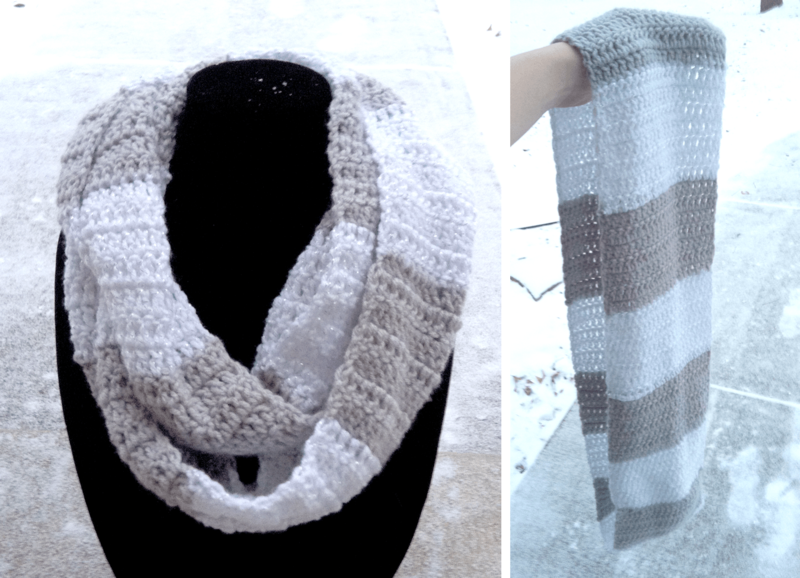 Enjoy your new Rugby Infinity Scarf!